The New Art Studio is taking up residence in the art studio in our Room to Breathe exhibition from 17 January until 24 February 2019. 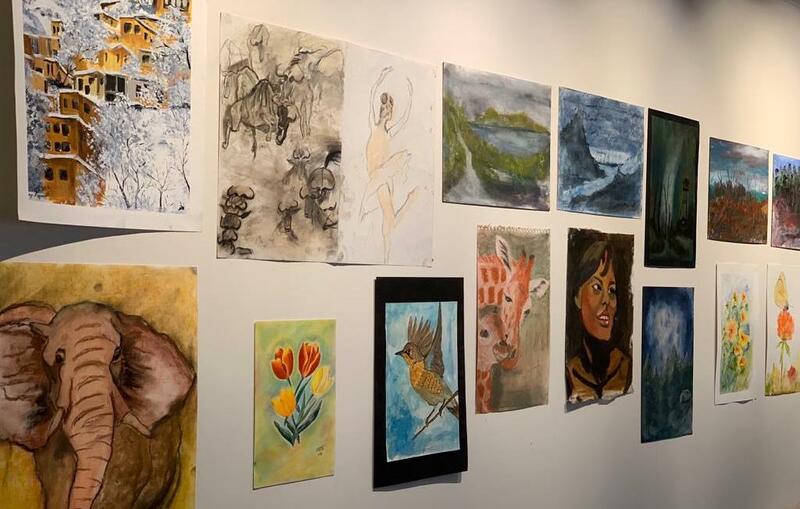 The New Art Studio is a London-based therapeutic art studio for asylum seekers and refugees, providing a safe space for some of the most dispossessed members of our society. The studio not only offers a place of solace, friendship and camaraderie, it is a place where all emotion is accepted and held through the power of collective art making. The studio works to give relief from the effects of profound trauma. Making art can be a profound way of connecting with one’s experiences, and making visible what can be difficult to put into words. During its residency, the studio will be exhibiting artworks produced by its members, which will form a part of our Room to Breathe exhibition. Tania Kaczynski and Jon Martyn, art psychotherapists and founders of the New Art Studio, will also be running a series of weekly drop-in public workshops on Saturday afternoons, providing you with the opportunity to develop your understanding of the experiences of refugees and asylum seekers through art making and discussion. The New Art Studio is our latest artist in residence as part of our Room to Breathe exhibition.